(Honolulu, Hawaii, Dec 31, 2013) Architects Hawaii Ltd. has named St. Andrews Priory School for Girls a recipient of the firm’s 2014 pro bono work as part of its “1 percent” program where employees dedicate 1 percent of their annual work hours to pro bono services. 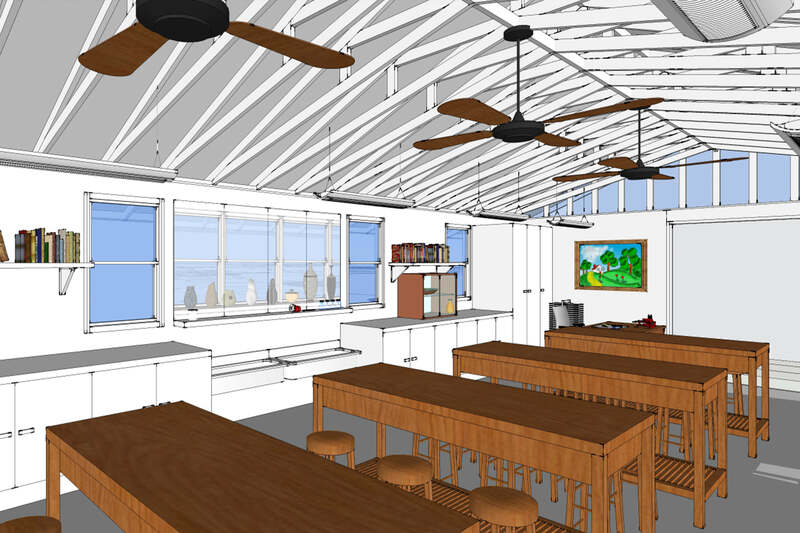 Architects Hawaii will renovate a 1,000-square-foot storage space of the school into a new art facility where art education and workshops will be held. The space was originally built in 1954 as a shower facility for students to use following gym class. “We are transforming the school’s ‘shower house’ into a light-filled, inspiring space that will spark the creativity of the Priory students,” said CEO Bettina Mehnert in a statement. Architects Hawaii paired up with other design and construction consultants — AISE Allison Ide Structural Engineers, Mechanical Engineers of Hawaii and Independent Third Party Review LLC — who also will donate services or provide assistance at discounted rates. A contractor has not yet been named. “We are so grateful for businesses, such as Architects Hawaii and their generous partners, for helping us implement our strategic plan. The construction of a new art facility is part of our plan to revitalize the precious gift of education given to Hawaii by Queen Emma,” said Head of School Sandra Theunick in a statement. Past pro bono projects from Architects Hawaii include more than $300,000 in goods and services for the Salvation Army’s Family Treatment Service facility and, more recently, the firm built the garden atop the Institute for Human Services Kaaahi location as part of the nonprofit’s $500,000 Rooftop Training and Education Center that opened in July.